For a short period of time each winter, English Peas are in season here. 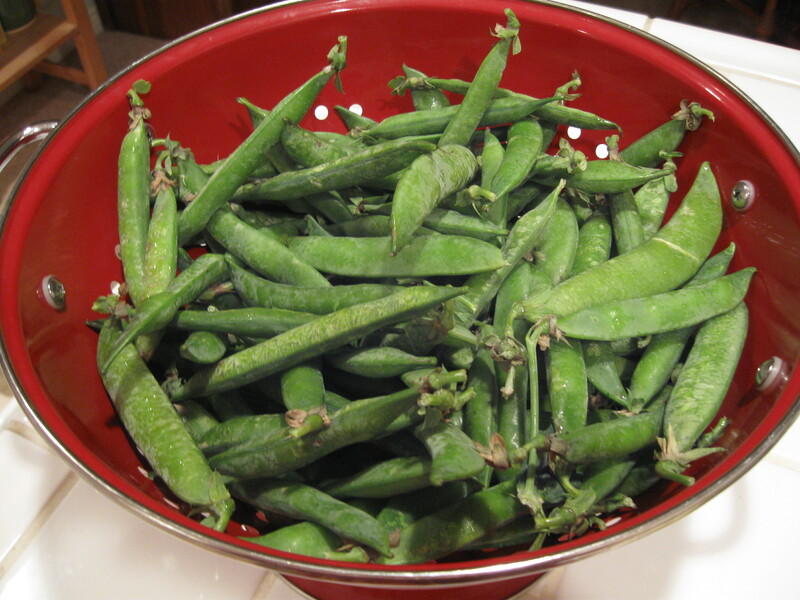 Unlike their cousins, the snow pea and snap pea – which are available year-round, are much smaller and can be eaten whole – English peas are what you think of when you think pea – perfectly round, plump and bright green. These are the peas usually found in the freezer section of the grocery store – the ones that, steamed or boiled, turn into a mushy mess. But bought fresh, eating them is a completely different experience. The first time I ever had super-fresh peas was a few years ago when my Mom and I went to England. On our first (and only) evening in London, (jet-lagged and missing luggage) we went in search for horrible English food. (I had lived in London for a short time 14 years earlier and I could attest to the boring, bland English food that lived up to its’ reputation.) After walking for what seemed like hours we stumbled upon a tiny alley pub. It didn’t look awful and the menu board out front didn’t look too dicey so we decided to eat there. To be honest, I can’t even remember what my Mom and I ordered, except that it was good, and the peas were amazing! They were so fresh and crunchy we couldn’t believe it. This was crappy English food? We could actually see the peas growing on their trellis in the tiny garden behind the pub – they were that fresh. So naturally I greet winter pea season with open arms. (Surprisingly, Joel and Madison do too!) I love the whole process of shelling, steaming and serving them – although I usually have to buy 4lbs just to get enough peas worth preparing. Last weekend I served them with a Crock Pot roast, potatoes and carrots. As we were eating dinner and Madison was happily shoveling peas into her mouth, she informed Joel and I that, “I have loved peas since I was a little baby, you know? 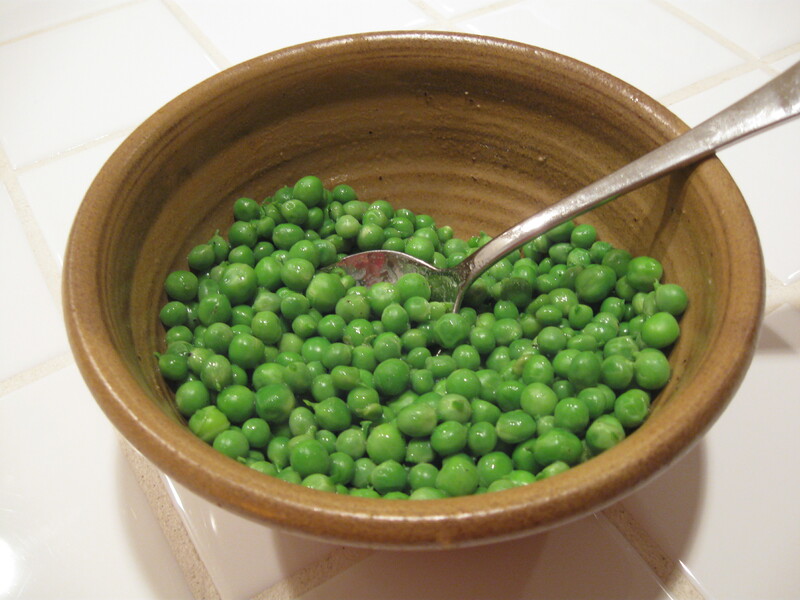 Except, those peas were all mushy – not crunchy like these. I like these better.” (One of the funny things about Madison, and I’m sure kids in general, is her notion that if she is making a pronouncement for the first time then it must be a newsflash for everyone at the table.) We both burst out laughing and Madison was momentarily confused until we explained that we weren’t at all surprised that she likes peas – we’ve been feeding her since she was an infant. Wait, What? Curry is Supposed to be Hot?